There are two important areas for timing in an embroidery machine, the needle and hook timing and the feed dog timing. If the the hook, needle and feed dogs do not move in the proper timing, then the machine may skip stitches, only stitch on one side, thread may bunch up, fabric not move or the machine stops stitching altogether. 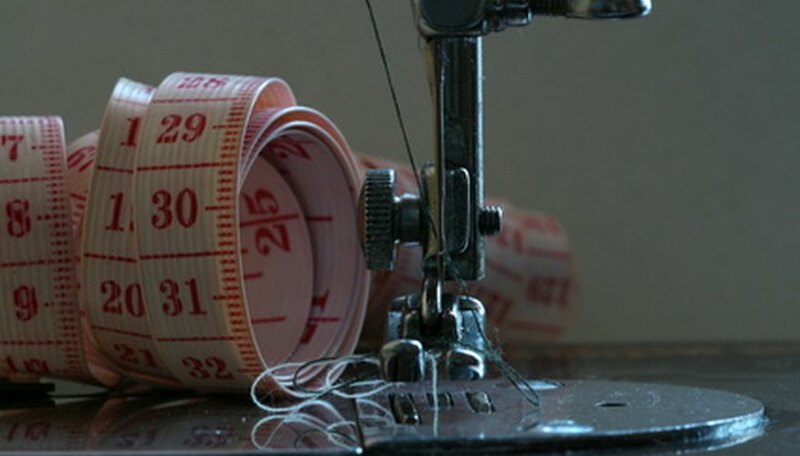 Resetting the timing is one of the more advanced sewing or embroidery machine repairs. Most manufacturers recommend taking the machine to a professional sewing machine repairman or sending it back to the manufacturer. However, it is possible to reset the timing yourself at home, just make sure you have plenty of patience. Disassemble the embroidery machine so that the spool case, needle plate and hook point can be viewed. The procedure for this disassembly will differ depending on the embroidery machine model. Check with your manual about the necessary disassembly steps to view and access these machine parts. Take out the old needle from the machine and insert a new needle. Make sure the needle is installed properly and not put in backwards, a common timing problem. Turn the embroidery machine hand wheel so that the needle goes to its lowest position. Once the needle is at the low point, turn the hand wheel again to move the needle back up 2.2 millimeters. Loosen the hook point by unscrewing the secure screws or by loosening the belt pulley. Which one you will need to loosen depends on the machine model. Watch the hook point move as the screws or belt pulley is loosened. When the hook point rotates and is placed directly behind the needle, stop loosening the screws or pulley and tighten the belt pulley or secure screws. The needle and hook is now properly timed to work properly. Change the stitch length so the machine is set to the longest stitch length. Move the needle until it is 0.5 millimeters above the needle plate. Move the needle by turning the hand wheel. Loosen the feed gears that move the feed dogs. The feed gear screws are normally located behind the back panel but may vary depending on the machine model. Move the feed dog as it goes above the needle plate and then starts to move under and behind the needle plate. The moment the feed dog moves below the needle plate, immediately tighten the feed dog gears. The feed dogs are now timed to the needle. Always reset the needle and hook timing before the feed dog timing. Why Is My Sewing Machine Needle Not Moving?